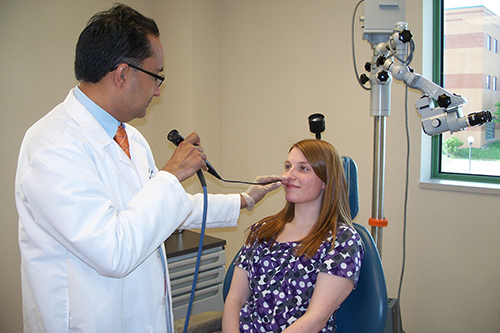 Dr. Mathur and his team provide area patients with specialized Ear Nose & Throat care in a timely and professional manner. Pittsburgh Sinus Centers provides a patient-centric approach to healthcare, which means that every patient receives the personal attention they deserve to meet their specific needs. We work diligently to provide exceptional service from initial contact to full treatment. Pittsburgh Sinus Centers work collectively with some of Westmoreland, Cambria, Indiana and Allegheny counties’ top practitioners to provide comprehensive healthcare when you need it most. Our three offices located in Brackenridge, Warrendale, and Indiana Pennsylvania with convenient hours and ample parking to assist our patients better. For years, our patients have been grateful that we focused on effective non-surgical sinus treatments. Balloon Sinuplasty is one of our superior ENT sinus services, for patients seeking a sinus surgery alternative. We know allergy sufferers find effective relief with allergy shots but do not like the inconvenience of taking off work for allergy shots. 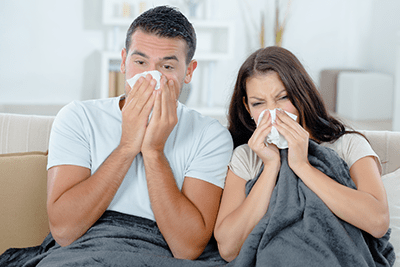 Our allergy practice, Laurell Allergy, offers qualified allergy patients innovative At-Home Allergy Treatment options. We are grateful for the opportunity to serve our neighbors with exceptional healthcare and appreciate your continued support.